Acrylic Glass Dice Set with Light Up Dice Vault - Moar Stuff - You don't need it but you know you want it. Up until now, if you wanted precision dice that wouldn’t deform and were perfectly balanced, you needed high-quality aluminum or steel dice. There are problems with metal dice, though. First off, they’re heavy and they tend to dent up tabletops quite easily. Also, they’re expensive, often costing more than $100 for a basic set. That’s where these Acrylic Glass Dice (via Kickstarter) come in. Made out of PMMA, also called acrylic glass, these dice have a high surface hardness, meaning they are very scratch and dent resistant. They’re also easily cleaned and lightweight. Oh, and if you care about the planet, acrylic glass is also fully recyclable. These dice are precision made with tolerances less than 100 microns and engineered to enhance your random roll mechanics. So, if you like truly random dice, these will fit the bill. 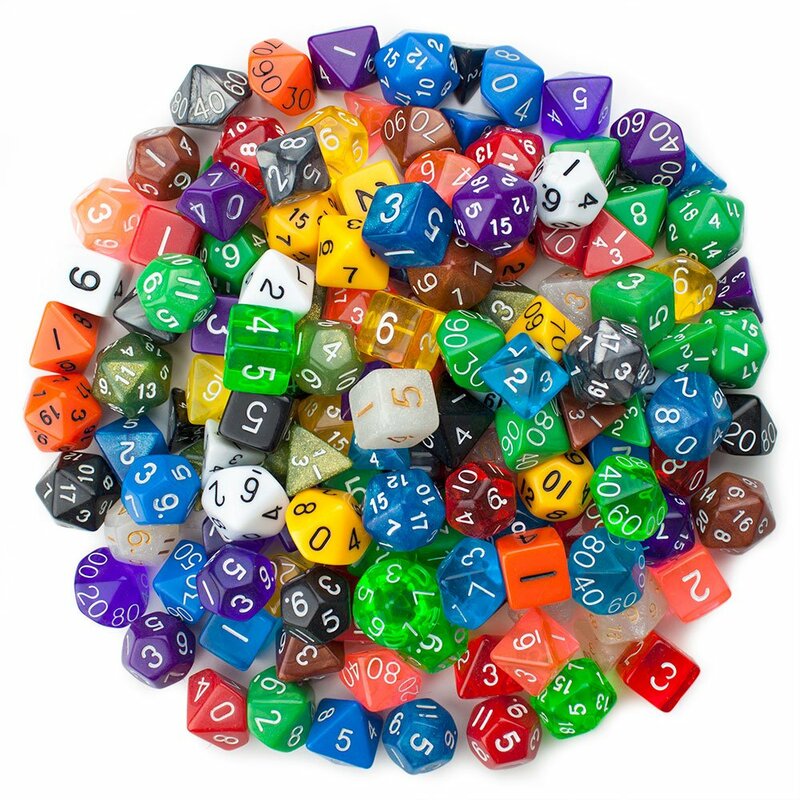 Each set of polyhedral dice includes 7 Dice: D20, D12, D10, D10%, D8, D6, and a D4. Each dice will have the numbers formed into the dice and will then be color-filled to help maintain the perfect balance. If you want color options, no problem. You can have tour choice of Translucent Red, Translucent Smoke, Translucent Blue, Translucent Teal, or Translucent Purple. There will be additional colors made available later. If you don't need precision dice, just huge numbers of them, check out the Dice Bag of Holding. In addition to the dice, there’s also an option to get the custom LED Dice Vault. Basically, it’s a 1.25 inch by 6.25 inch plastic tube with a cool dragon graphic and LEDs that light up. It can hold up to 9 dice and adds a bit of coolness to the set. If you want it separately, it’s $15.00 or you can get it included with your dice for $25.00 total. At the moment, the LEDs in the dice vault are all simple white LEDs but, if they reach the stretch goal of $25,000 (which they’re close to) they will add multi-colored LEDs to let you customize your dice vault. Right now, the project is fully funded and units are expected to ship in September. So, if you’ve always wanted precision metal dice but didn’t want to fork out the cash, these acrylic glass dice are probably perfect for you. D20 Dimensions: 20 mm face to face. D12 Dimensions: 18 mm face to face. D10 Dimensions: 18 mm face to face. D8 Dimensions: 18 mm face to face. D6 Dimensions: 16 mm face to face. D4 Dimensions: 16 mm point to point. Dice: D20, D12, D10, D10%, D8, D6, and a D4. Colors: Translucent Red, Translucent Smoke, Translucent Blue, Translucent Teal, and Translucent Purple.